This post could not be more different to my previous one. Since my nightmare beginning in Delhi we have stayed in an Indian mansion, located 30km outside of Delhi. It is a paradise amongst squalor. This is obviously very typical of India, and I envisage that this will be a common theme throughout these posts. Today we did what all good tourists do and went sightseeing around the greater Delhi area. We hired Rohit, out driver for the next two days to drive us around this hectic city. 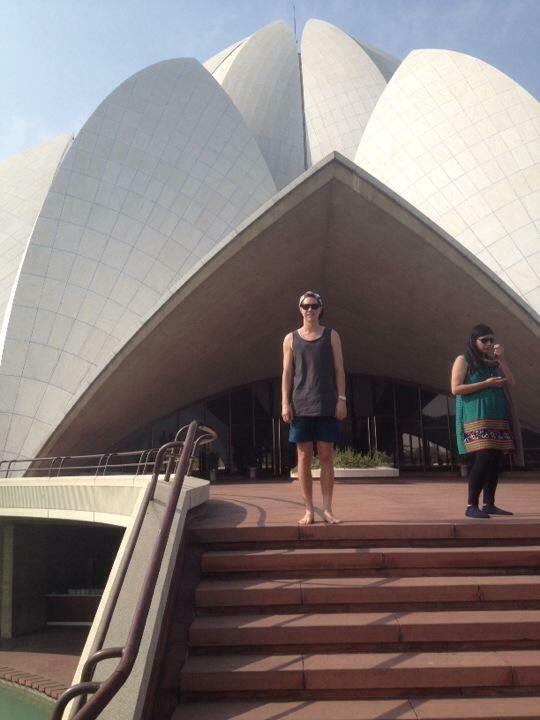 We viewed the lotus temple, a beautifully designed Bahai temple. The presidents residence, which ended up being his residence of work, not his living quarters was spectacular. As was Humayun's tomb. It is amazing to think that people made these structures up to 500 years ago! After, we returned to the mansion in Gurgayon for a lovely meal. Tomorrow we are up at 4.45 to travel to Agra to visit the Taj Mahal.